Double dipping or fair play? The Social Security Disability Insurance and Unemployment Benefits Double Dip Elimination Act of 2015 (H.R. 918). It is astonishing how quick Republicans are to agree with President Obama when he proposes something they like. The President’s budget also called for increased funding for SSDI, but Republicans ignore that. When I read that something is “common sense,” I am suspicious. Is H.R. 918 a good idea? Is it true that disability benefits are for those who can’t work? Tom Reed wants those who can work to forgo benefits. Should those who are disabled and employed be denied disability benefits? That would certainly be a disincentive to working. Are there legitimate reasons that some might qualify for both disability and unemployment benefits? How about a person who becomes disabled while working and is laid off? Should we provide benefits only to those who need them most or rather to all those in need? Would disallowing unemployment benefits to the disabled save enough to make SSDI solvent without any increase in funding? The motivation for bills often isn’t clear. H.R. 918 might be a responsible effort to save money or a mean spirited effort to shortchange the disabled. Disabled workers now receive an average of $1,146 a month–not much to live on, and one often needs to hire a lawyer to get even that. In fiscal year 2010, at least 117,000 people received DI and UI benefits at the same time, representing less than 1 percent of total beneficiaries of both programs. The GAO estimates the overlapping cash benefits paid to these recipients totaled over $281 million from DI and more than $575 million from UI. Social Security Disability expense is more than $100 billion, so the estimated savings of $281 million are insignificant. This makes me think the motives of the sponsors of H.R. 918 are less than pure; H.R. 918 is another illegitimate excuse for shortchanging the disabled. This entry was posted in Congress, Constituents, Economics, Political, President, Reed's Views and tagged double dip, H.R. 918, SSDI, Ways and Means. Bookmark the permalink. 7 Responses to Double dipping or fair play? It does make one suspicious to see only Republicans co-signing a bill (one of whom is Tom Reed). These are two separate issues though – the employer is paying for the unemployment insurance, and the worker is paying for the SSDI through wage taxes. it’s natural that the employer would be happy to have their requirement lowered for those on SSDI, but it seems unfair to the disabled to have any legal avenue of income cut short, especially the part they paid into. While it never surprises me that Reed and fellow GOP members would reduce any “burden” to employers, It does surprise me that the President’s proposal would reduce the SSDI portion – not the UI portion under these circumstances. And the President writes “reduce” not “end”. So, when Ryan writes “This proposal builds upon a provision in President Obama’s budget” it’s a disingenuous way of saying “cuts more than” a provision in President Obama’s budget. It is, in my opinion going in the wrong direction on all counts. SSDI should be expanded, not cut, and until Congress and corporations can see their way clear to stop obstructing living wages – cutting unemployment insurance benefits, even for those who recieve SSDI, is the wrong way to go. …those who truly cannot work. Arguing with these ideas in their frame is futile. 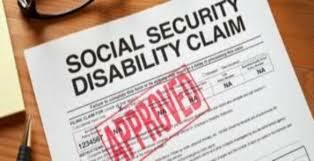 …..SSDI recipients ALREADY PAID their “dues” to get the benefits – would Representatives expect less for themselves? Maybe fat cat politicians who are retiring on huge pensions on the taxpayer’s dime ought not be allowed to collect SS, either.